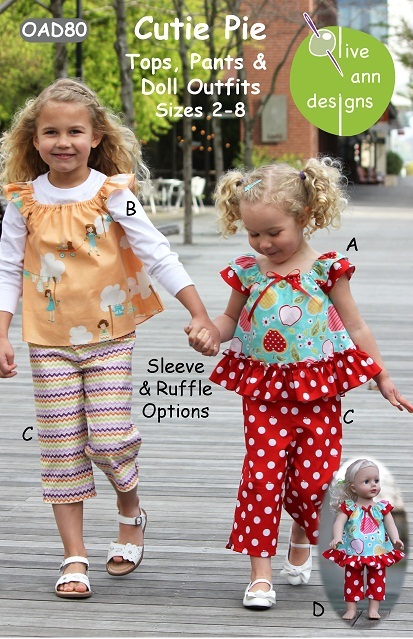 Cutie Pie Tops and Capri Pants and matching 18" doll outfits. These fun and playful outfits are perfect for summer and for layering in cooler weather. The tops have several ruffle and sleeve options with elastic necklines for an easy, pull-on fit. Capri pants have elastic in the waist. The matching doll outfits fit mosst 18" dolls or the "Best Buds" Olive Ann doll.